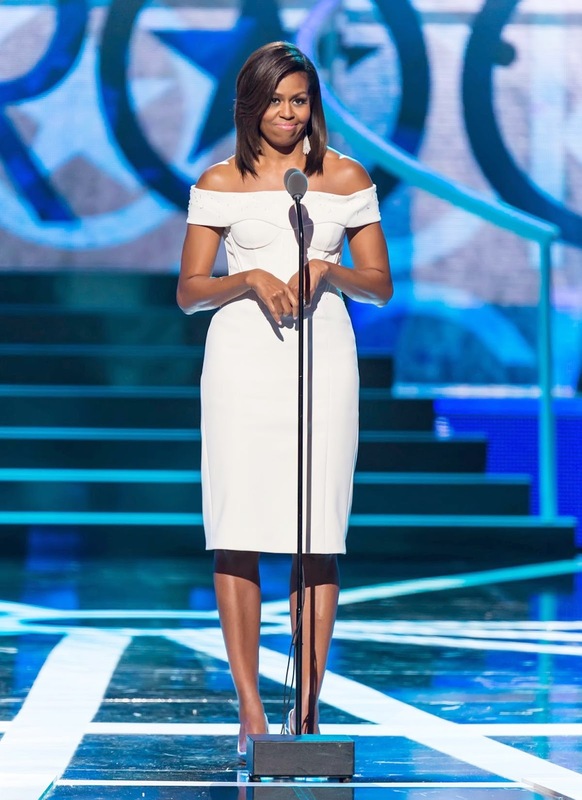 KayKiSpeaks.com: ICYMI: Michelle Obama, Fantasia Barrino, Lalah Hathaway, Faith Evans, & Erykah Badu Were #BlackGirlsRock Highlights! ICYMI: Michelle Obama, Fantasia Barrino, Lalah Hathaway, Faith Evans, & Erykah Badu Were #BlackGirlsRock Highlights! If you missed last night's Black Girls Rock special, you missed something spectacular! Every year Black women are recognized for their incredible contributions to the world. Last night's airing was no different. From political movers and shakers to industry game changers, it was obvious that black girls who rock are everywhere.. even the white house! Among the many performances and speeches last night were Lalah Hathaway, Faith Evans, and Fantasia, and First Lady Michelle Obama. These four women managed to totally engage me in their performances/speeches which shouldn't be surprising. Our FLOTUS took the stage with such grace at the end of the show,but not before she church clapped to Fantasia singing Oh Mary Don't You Weep in a way that only Fantasia can. I literally threw a pillow at my tv!!! The night was beautiful as many incredible black women were honored. Among them was film legend Cicely Tyson, Erykah Badu, Nia Lopez, Ava Duvernay, and Dr. Helene Gayle! The list goes on a bit, and it was a beautiful night of celebration. Among these speeches and performances were a couple of faves that are below.. just in case you missed the show! Continue to uplift the young black women around you! The one thing I love about this production is that black girls don't see their beauty and brains displayed in the media as often as they should. This production allows them to literally see so many different black women from different ages and careers who are doing their thing! I dig this so hard! Check out some of my favorite moments below.